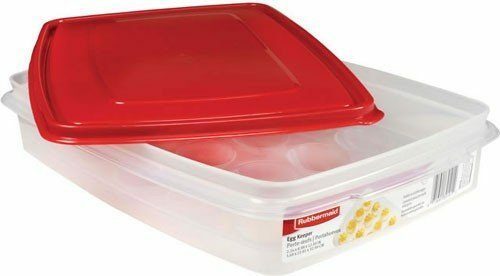 Head over to Amazon and get this Rubbermaid Specialty Food Storage Containers, Egg Keeper, White for only $3.99, down from $11.94!! This is an Add-on Item which means it will only ship with an order of $25 or more. Keeps your eggs fresh and prevents it getting crushed or smashed. Outer lid snaps onto platter base for a tight seal and secure transportation. Constructed of thick, durable plastic that is dishwasher-, microwave, and freeze-safe and BPA-free.